Lufthansa is planning the very first visit of an Airbus A380 to Sofia for Sunday, on 16 October 2016. 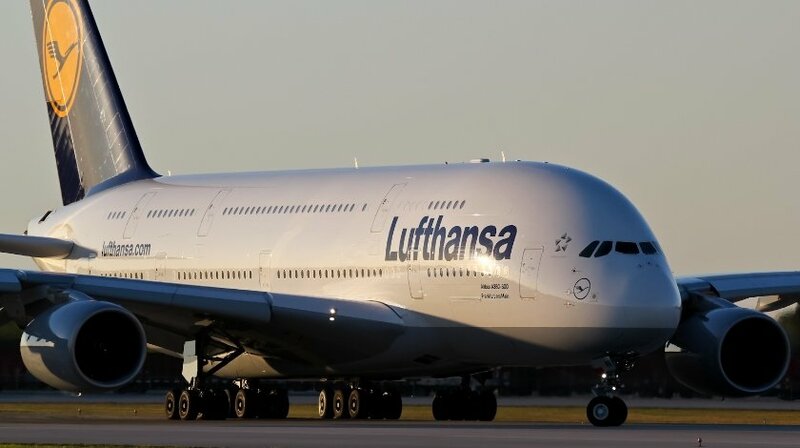 The largest passenger aircraft of the world will depart in Frankfurt as a special flight and is scheduled to touch down in Sofia around noon time. For this premiere a delegation of politicians, customers and media will get the chance to visit this two-deck aircraft, which is supposed to stay for a few hours in the Bulgarian capital. The aircraft will also be visible from various spots around Sofia and the airport during its landing approach. The whole event will take place in cooperation of Lufthansa Technik and Sofia Airport. Carrying up to 509 passengers, the upper deck provides eight seats in First Class and 78 seats in Business Class which both can be used as full flat beds. The main deck gives space for 371 seats ones in the new Premium Economy Class, of a small number is also located on the upper floor. The new Premium Economy Class is also located at the main deck and offers 52 passengers not only 50 per cent more leg room, compared to the Economy Class, but also one free additional piece of luggage. It is planned that the only Bulgarian A380 Lufthansa pilot, Senior First Officer Mario Bakalov will be part of the cockpit crew flying this aircraft to Sofia on that day. Lufthansa and Sofia Airport will inform the public with more details on the A380 visit in due time.